We’d love your help. 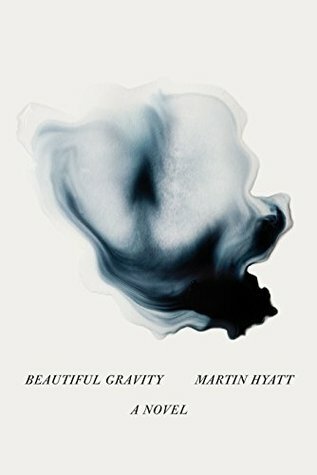 Let us know what’s wrong with this preview of Beautiful Gravity by Martin Hyatt. To ask other readers questions about Beautiful Gravity, please sign up. “They say towns like this don’t exist anymore, but I know that they do because I live here. Noxington is one of those towns where the big stores that sell everything…have yet to be built.” The opening lines of the first chapter lay out a small, hardscrabble Louisiana town where thirty-six-year-old Boz Matthews lives, not completely by choice, but because when he attempts to leave, he feels sick. He is trapped by his anxieties and loneliness, his awareness of his homosexuality, and his feelings of responsibility to his grandfather, who took him in after his mother walked into his family’s burning home and died. As Boz says about himself: “…no matter who I am with or how many people I am around, I never feel like I’m truly with anyone but me.” Boz escapes his claustrophobic existence by watching movies, listening to music, and fantasizing, until his friend Meg, who is chronically suicidal, returns after discharge from a mental hospital. Then, a glamorous, world-worn singer, Catty, arrives with Kyle, an ex-boxer. The four eventually form a fluid nuclear family of sorts, in which each shifts from heterosexuality to homosexuality in a rotation that fulfills unspoken deep needs. Hyatt handles this flexibility with smooth skill, applying an almost post-gay mentality in which his characters exist as themselves rather than as figures with fixed sexualities, a new trend in contemporary literature that should be applauded. Each person is treated with respect and sympathy by the author, an attitude that reflects his own humanity. He has also created a contained physical world for this novel, one more reminiscent of an intimate theater piece, despite the astutely observed backdrop of Noxington. Most action takes place in the diner, where Boz works, and his room above the diner; the tightly enfolding setting seems to amplify the intensity of the relationships. Beautiful Gravity is a blend of bleak realism and uplifting transcendence, of despondency and hopefulness, told tenderly by the narrator. Because of the outstanding success of this novel, Martin Hyatt’s next work will undoubtedly garner major publishing interest. I look forward to reading it!—Laury A. Egan, author of "The Outcast Oracle" and, forthcoming, "Fabulous! An Opera Buffa"
Hyatt shows us a thoroughly complicated and unexpected love story unfolding in the deep south. Hyatt writing is welcoming and Beautiful Gravity's inclusiveness makes you a part of the simple candor between all of the book's lovers. I've never been so much a person within a work of fiction. To read this work is to become a confidante; a silent and respectful onlooker who must pause to consider how wonderfully expressed this story is. It rings true with its distance and pain; its fright and joy. Wonderful book of many profound "outsider" insights. The most original of stories this year. Boz, Catty, Meg and Kyle develop into a family—each holding the other up. Surprised and accomplished ending. In the great tradition of Southern gothic writing, this lovely novel combines a sadness and eroticism in a new voice that had me feeling many emotions all at once. It is beautifully written. The characters seem larger than life while also being pitiable. The narrator is unlike most gay characters and his journey unlike any I've ever read. I really want to talk about this book with someone. Read it and give me a call.